The Community Development Block Grant (CDBG) program provides communities with resources to address a wide range of unique community development needs. The U.S. Department of Housing and Urban Development (HUD) provides federal funding to States through the CDBG program. In turn, states provide CDBG funds to local governments to support their Housing, Community and Economic development activities. In Wisconsin, the program is administered by the Department of Administration (DOA), Bureau of Community Development. 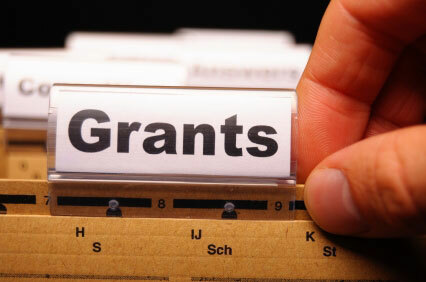 DOA handles all CDBG application and contract management activities including the disbursement of grant funds. CDBG funds require a 50% match. There are multiple ways to meet the eligibility requirements of this program. Communities that are classified a low/moderate income (LMI) are automatically eligible. Other ways to qualify include blight elimination, urgent local need, architectural removal of barriers to meet ADA requirements, and performing a project that benefits a protected class. The State of Wisconsin offers several CDBG tools that can benefit communities, including Planning, Public Facilities, Economic Development, Public Facility-Economic Development, Affordable Housing, and Emergency Assistance. CDGB-PLNG grant funds are awarded to local governments on an annual, competitive basis to support community efforts to address improving community opportunities and vitality. Planning funds can be used for community-wide plans (up to $25,000) or site-specific plans (up to $15,000). Some examples of eligible projects include the development of comprehensive plans, community development plans, and small area and neighborhood plans. Grants are limited to projects that, if implemented, would meet a CDBG National Objective. CDGB-PF grant funds are awarded to local governments on an annual, competitive basis to help support infrastructure and facility projects for communities. Funds are awarded up to a maximum of $500,000. Some examples of eligible projects include improvements, repairs, or expansions of streets, drainage systems, water and sewer systems, sidewalks, and community centers. CDBG-ED grant funds are awarded to local governments to assist businesses to create or retain jobs for individuals with low and moderate income. These funds are awarded on a continuous basis. Examples of eligible projects include business loans to expand facilities or purchase equipment, specialized employee training, or business infrastructure projects. CDBG-PFED grant funds are awarded to local governments for public infrastructure projects that support business expansion or retention. These funds are awarded on a continuous basis. Examples of eligible applications include: new or improved water & sewer service and streets that result in business expansion and job opportunities for low- and moderate-income individuals. The CDBG-PLNG and CDBG-PF programs are currently accepting applications, which are due May 25, 2017. Application information can be found on the DOA website. Contact Cindy Wojtczak for additional information or assistance with grant writing or administration. The Commission would like to inform all of the units of government about the 2020 Census Local Update of Census Address Operation (LUCA). LUCA is the only opportunity offered to tribal, state, and local governments to review and comment on the U.S. Census Bureau's residential address list for their jurisdiction prior to the 2020 Census. The Census Bureau relies on a complete and accurate address list to reach every living quarters and associated population for inclusion in the census. The US Census Bureau is currently offering an opportunity for local units of government to review the US Census address database. This limited timeframe provides the only opportunity to review the address database and suggest changes, which will enable a more accurate count leading into the 2020 Census. This fall, LUCA training workshops will be held covering the several different options that communities have to review and submit changes. In early 2018, the databases will be delivered to the reviewer starting a three month window for the review to be completed. The Census Bureau will then process the submissions throughout most of 2018, culminating in a September completion date. It is imperative that each unit of government has an accurate address list with the Census Bureau. Inaccurate information may result in negative financial impacts for your community. If your community would like assistance with any of the aspect of the 2020 LUCA process, from a question to conducting a complete review on your behalf, please feel free to contact Josh Schedler. The Sheboygan MPO Technical and Policy Advisory Committees recommended approval of minor amendments to the street and highway component of the 2017 - 2020 Sheboygan Metropolitan Planning Area Transportation Improvement Program (TIP) at their joint meeting in late February. The Commission is scheduled to take action on these amendments at its March meeting. These amendments involve cost changes to four street and highway improvement projects. The Sheboygan MPO Technical and Policy Advisory Committees reviewed the Annual Listing of Obligated Projects for Calendar Year 2016 at their joint meeting in late February. This listing has been posted to the Commission's website. Commission staff has started to work with Shoreline Metro staff on setting performance targets for state of good repair (SGR), including participating in a meeting in late February to discuss this and other matters. The Lake Michigan Stakeholders are looking for individuals, businesses, organizations, or policy makers within Wisconsin's Lake Michigan basin who have demonstrated a commitment to environmental leadership and excellence in their respected fields. To nominate, please select the button below to fill out and submit the nomination form. Nominations are due no later than April 14, 2017. Winners will be announced in June. The Award Ceremony will be Friday, August 11, 2017, at Lake Michigan Day in Manitowoc.